76-100-04 Opalee White Pearl Airbrush Base 4 oz. 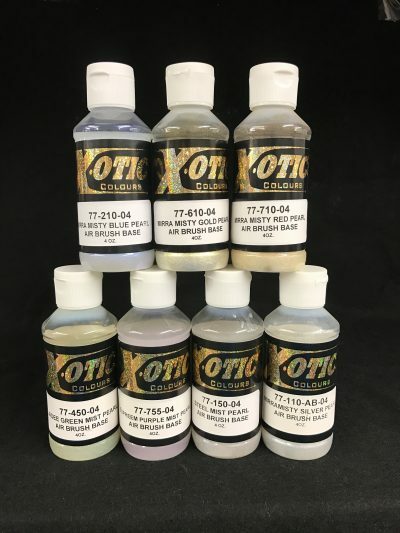 76-203-04 Deep Blue Pearl Airbrush Base 4 oz. 76-402-04 Weed Green Pearl Airbrush Base 4 oz. 76-500-04 Tangereen Pearl Airbrush Base 4 oz. 76-608-04 Yellow Gold Pearl Airbrush Base 4 oz. 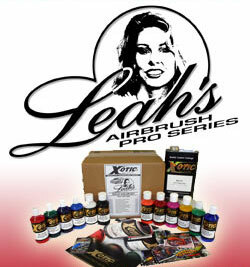 76-700-04 Cherokee Red Pearl Airbrush Base 4 oz. 76-704-04 Eeree Violet Pearl Airbrush Base 4 oz. 76-706-04 Purple Pearl Airbrush Base 4 oz.